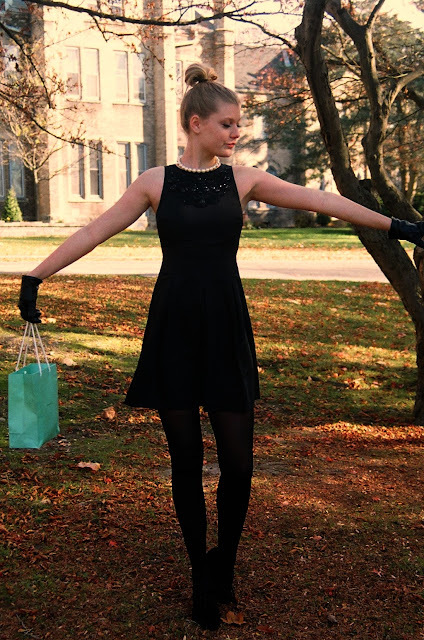 I fell in love with this dress and when I wore it I felt very 'Breakfast at Tiffany's'. I decided I wanted to take it a step further and channel my inner blonde 'Breakfast at Tiffany's'. My mother and occasionally my boyfriend take all my photos, but yesterday my mom and I decided to go to Trafalgar Castle to take some photos. 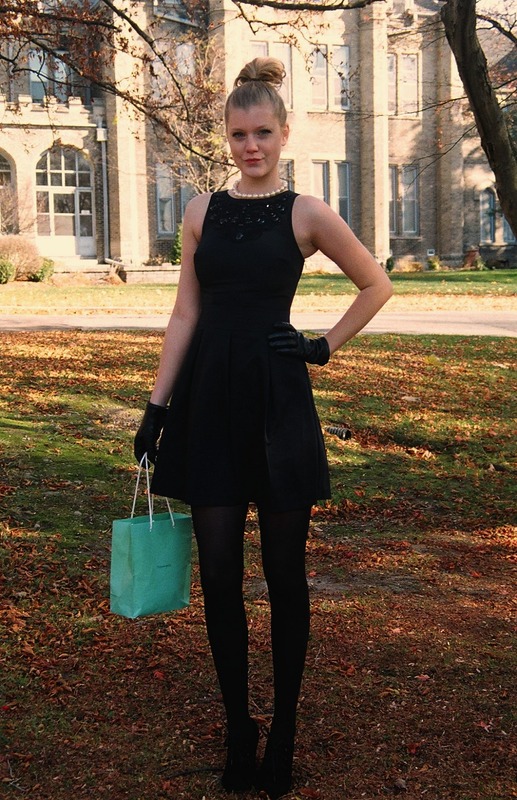 Trafalgar Castle is located in Whitby, Ontario Canada and is a private school for girls. 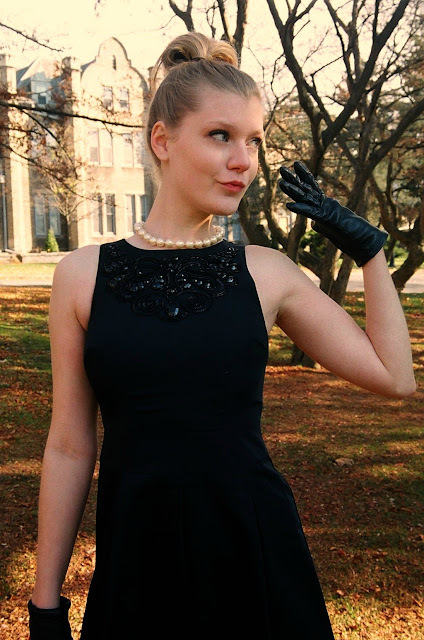 My nanny and I believe one of my aunt's went to this school back in the day so I thought it would be super gorgeous to have as a back drop to channel my inner 'Breakfast at Tiffany's' . 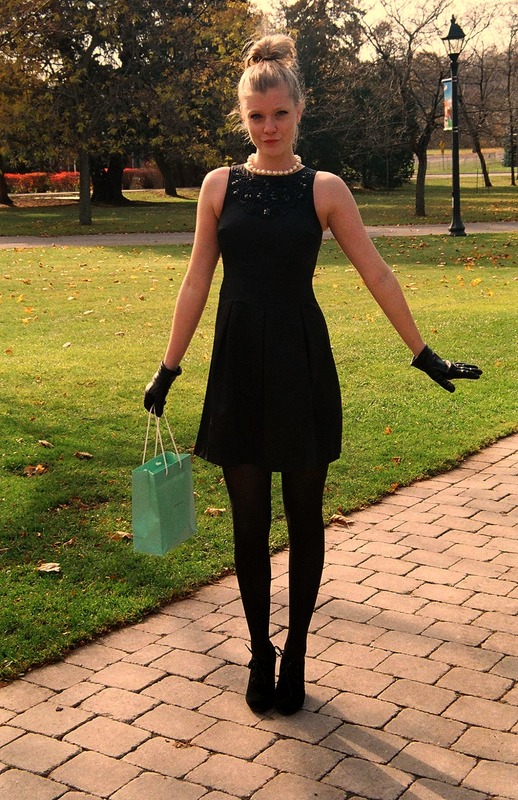 Bag : Tiffany & Co.
this outfit is wonderful! Lovely blog :) Visit mine http://pleasestrikeapose.blogspot.com/ and if you like it follow me! I'll be so grateful! you look fabulous, very Grace Kelly, love the coat! !